The Pros, the Cons, and the Facts about Traeger Grills Brand Pellets Grills. Is a new pellet grill on your wish list this year? Are you having a hard time wrapping your head around the seemingly endless amount of pellet grill brands claims and promises? If you are reading this, you’ve obviously included Trager brand grills to your research list. 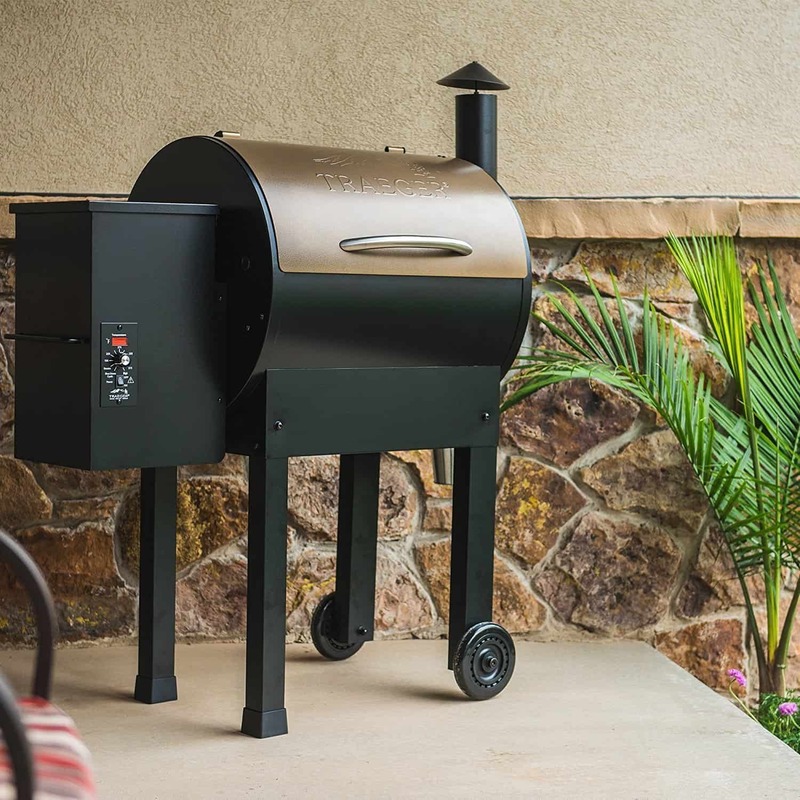 Well, today is your lucky day because I’m going to break down the all the reasons you should be considering a Traeger grill and even include a few reasons to think twice. By the end of this post, you’ll know whether a Trager brand grill is right for you. Why Buy a Traeger Grill? Who Are Traeger Grills Ultimately For? 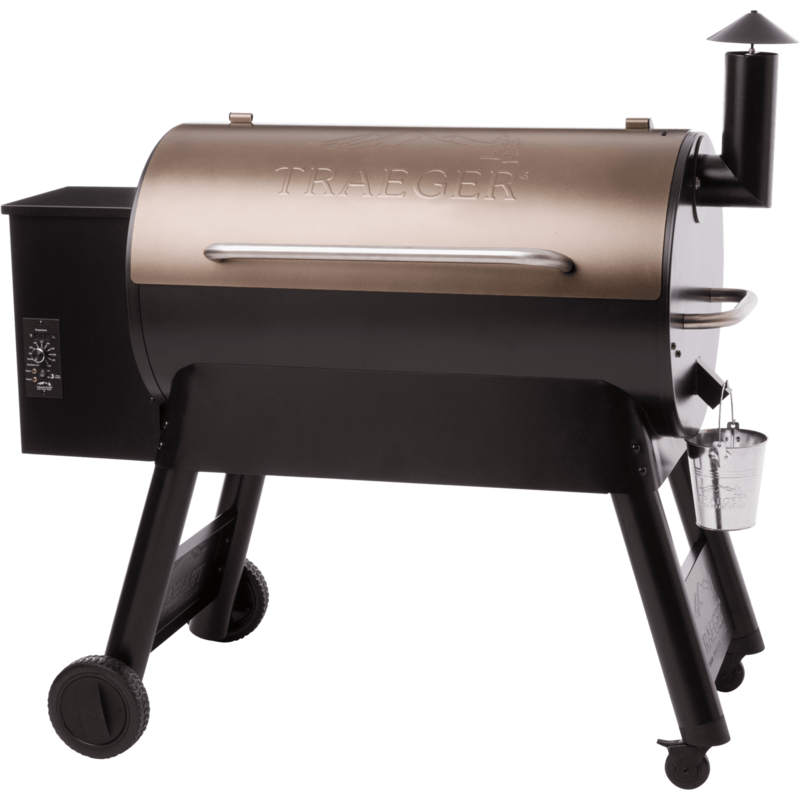 If you are in a hurry and want to see our top recommended Traeger models right away, click on the button below. Raise your hand if the first thing that comes to mind when someone mentions pellet grilling is Traeger. I bet a good majority will be raising their hand, and there is a very good reason. Traeger is one of the best-known names in the pellet grill industry. Traeger introduced the idea of burning hardwood pellets in smokers and grills and patented the first pellet grill in 1986. The company had twenty years to rule the pellet grill market virtually unchallenged while they held the patent. During that time they continuously improved on the basic idea, until they had a versatile grilling smoker like no other. After the expiration of the Traeger patent in 2006, many manufacturers jumped at the chance to make pellet grills. Since that time the market has been flooded with competitors, and the technology used has vastly improved. This was actually a great thing for us, the consumers. Competition drives everything and it has forced Traeger to up its game as well. Trager has worked hard to stay on top. With all the choices available now, why buy a Traeger grill? 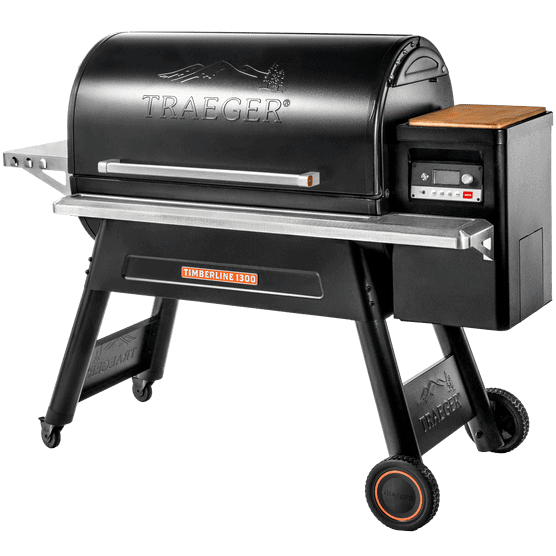 Traeger currently offers over twenty different models of pellet grills. The smallest table top units cost a few hundred dollars and cooks a half dozen burgers at a time. Their larger units have advanced technological features and go up in size and price until you reach the largest commercial-grade models, which cost several thousand dollars. We are going to look at what a Traeger hardwood pellet grill is and what sets it apart from the competition. The first step in using a Traeger grill is setting it up. While the smallest units come mostly pre-assembled, the larger free-standing units need to be put together. This process is pretty simple, requiring minimal tools. The only problem here is found on the larger units, which will require two people to lift upright. If you do run into problems, Traeger has live customer support available to help walk you through the process. Once the grill is set up, you are ready to fill the pellet hopper. Traeger supplies a selection of pellet types, like apple wood, or hickory. Some Traeger grills even offer an easy hopper clean out chute for changing flavors easily. Once you have filled the hopper, it’s time to light the pellets. Pressing the start button auto-ignites the pellets in the firepot. An auger moves pellets from the hopper to the firepot at a controlled rate. The amount of pellets fed in at a time is determined by the setting on the temperature dial. A computerized heat controller monitors the entire system that maintains the proper temperature for you. Air circulating through the cooking chamber distributes heat just like a convection oven. A few of the smaller models rely on vents to naturally circulate the hot air, but most models have a continuous fan that pulls the air through the system. These units offer the heat precision equal to or better than your kitchen oven. One of the obstacles that have always plagued outdoor cooks is the avoidance of hot and cold spots on the grill. Charcoal and wood-fired grills and smokers tend to provide uneven heat. Spreading the fuel evenly to avoid hot spots is difficult. And managing airflow with vents is a topic for a whole other post entirely. Ensuring even heat is one reason. 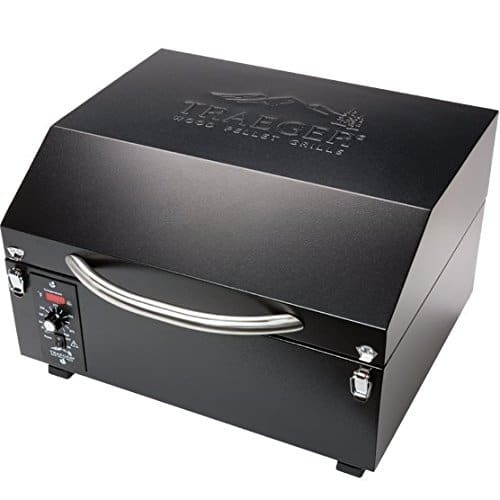 Traeger’s pellet burning grills use heat distribution plates to cover the firepot, spreading the heat across a larger area, to begin with, and fans improve upon that to move the heat throughout the chamber evenly. This method of indirect heating has other benefits too. Especially when grilling fatty meats that have a habit of dripping grease into the flames, causing flare-ups, which results in the formation of cancer-causing heterocyclic amines or HCAs. This is common in propane grills, and also charcoal. 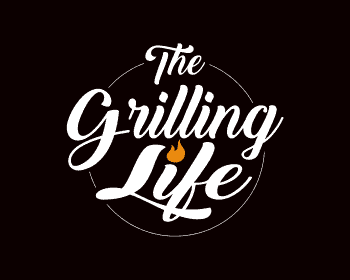 To learn more about whether or not Pellet Grills Are A healthy Grilling Alternative, click on the blue link. Traeger grills indirect heat method all but eliminates flare-ups in the first place. Many Traeger models are also designed to catch that grease and move it quickly to an exterior drip pan for super easy cleanup. The type of heat your grill uses is going to affect the flavor of what you are cooking. Pellet grills give you the smoky flavor of a wood fire, with the simplicity of propane. The hardwood pellets are made from compressed sawdust from different types of wood. As a bonus, Traeger offers a large selection of pellet flavor options. Their website also gives recommendations on whether you should burn cherry or maple pellets when you smoke that brisket. Changing flavors is as easy as changing out pellets in the hopper. Most Traeger units can go as low as 180 degrees Fahrenheit, and some as low as 160 degrees. Setting the unit to Hi Smoke mode varies the number of pellets supplied to the firepot for a slow smolder, and increases the amount of smoke in the cooking chamber. Electric fans provide the most circulation, ensuring efficient convection heat. The result is a rich, smoky flavor that penetrates the entire cut of meat. Although Traeger grills are great for quickly cooking hamburgers and steak, their original purpose was smoking low and slow. When we look at why you should buy a Traeger grill, we have to talk about smoking. Some cuts of meat require long exposure to low heat to bring out the best texture and flavor. This could mean carefully monitoring the smoker for many hours, sometimes even overnight. With a Traeger grill, you simply fill the hopper, turn the dial to its lowest setting, and walk away. As long as the hopper has pellets, you can have the confidence that your Traeger will provide reliable heat. This is something that is almost impossible to achieve with charcoal or gas. Most grills these days, including charcoal and propane units, have a built-in temperature gauge. However, maintaining that heat is still tricky. The accuracy on these lid gauges is not precise. Because the pellet feed and temperature are digitally controlled, the grill operates more like an oven. In fact, tests have shown they can be even more exact than your kitchen oven. Some models such as the Timberline Series keep their heat within 5 degrees of the dial setting. That is substantially better than cheap knock-off pellet grills that simply offer low, medium and high modes. I still always recommend using a good instant read thermometer whenever cooking meat. You can see a list of our Top Recommended Instant Read Thermometers by clicking on the blue link. Because a Traeger pellet grill holds heat like an oven over long periods of time, you are able to cook a larger variety of foods in it. Not only can you smoke a brisket, BBQ ribs, and sear steaks, you can bake bread or even a pie for dessert as well. The options are almost limitless. You wouldn’t try that on a propane grill. Traeger is proud to say it’s units can grill, smoke, bake, roast, braise, & BBQ. Units with multiple racks make it really easy to separate your cooking chamber into different sections to cook chicken, hamburgers, hot dogs, and vegetables all at the same time. Several units even have built in meat probes that will alert you when the meat has reached the desired temperature. Some even have dual meat probes, to ensure that you can cook very different cuts of meat to perfection during the same cooking session. Traeger has been in the business of making pellet burning smokers and grills for thirty years. They patented the technology that made this industry possible. All of the Traeger grills are manufactured to ensure that they hold a reliable temperature over the length of a grilling cycle. 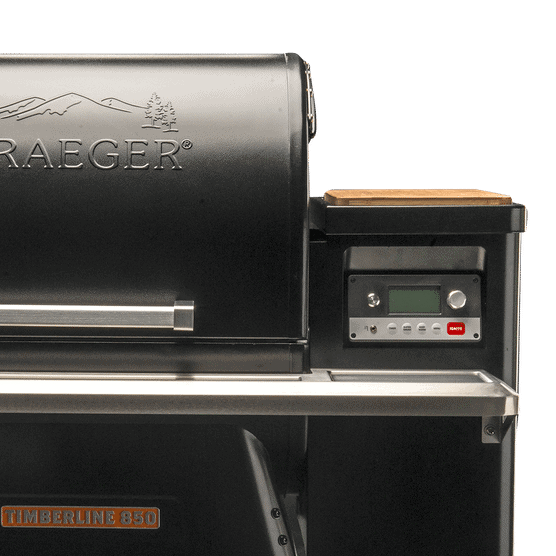 Traeger uses quality 304 stainless steel in it’s cooking chambers and heavy duty grade steel in its stands. They offer a 3-year warranty on every product they sell. As long as you maintain it properly, your Traeger should serve you well long after it’s warranty period. Even after the warranty period has expired, you are still talking about a Traeger grill. A company this solid should have replacement parts available for many years to come. 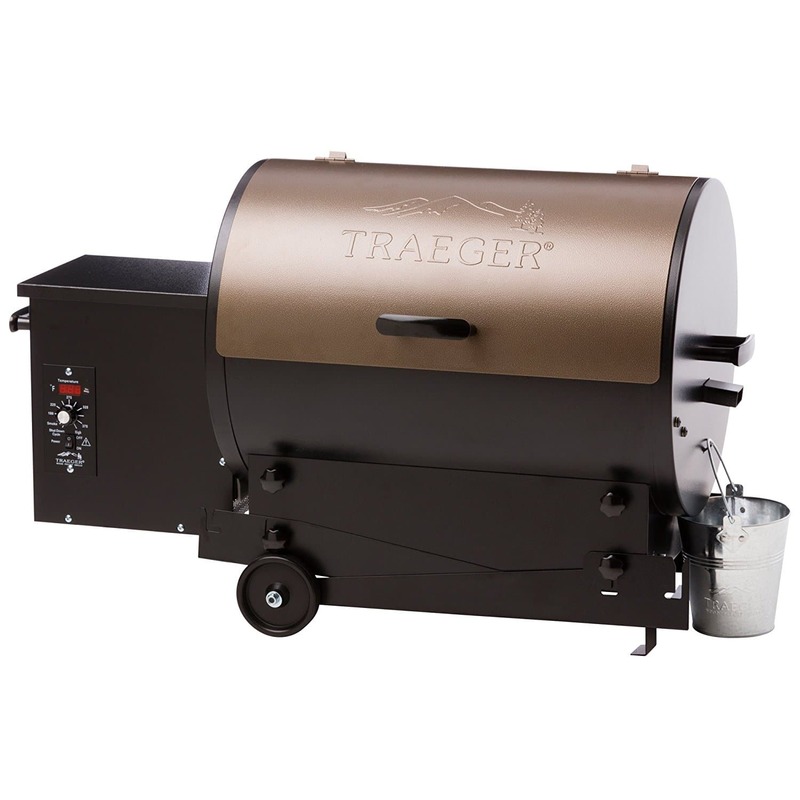 Traeger is an established company that stands behind their products and are known for excellent customer service. With so many different models of pellet grills available, you might wonder how other companies stay in business. While it is true that Traeger grills offer precision, reliability, and versatility, there are some situations that they are not suited for. Make sure you take the following points into consideration. #1) Electricity – Pellet grills are run by digital controllers and electric fans. They will require an electrical outlet to operate. Without electricity, the temperature controller, rotating pellet auger, and convection fans cannot function. This is going to limit mobility, even for the Tailgater, or the table top model. They can be run via a generator, or automotive inverter, but must have power available at the grilling area. #2) Fuel Cost – Pellet grills burn a specifically sized cylindrical, food grade hardwood pellet. While you can purchase cheap softwood pellets, they are going to burn up faster, which means you will use more of them in the long run. Depending on what type of cooking you are doing and grill size, you will be burning anywhere from 1/2lb and 2+lbs of pellets per hour. This makes pellet grills more expensive to operate than propane and charcoal grills. So why buy a Traeger grill? Fluctuating gas prices mean that pellets have periodically become cheaper to burn than propane. This was the original reason for their invention. Pellets also burn cleaner and produce less ash than charcoal for easier cleanup. Who Are Traeger Grills For? 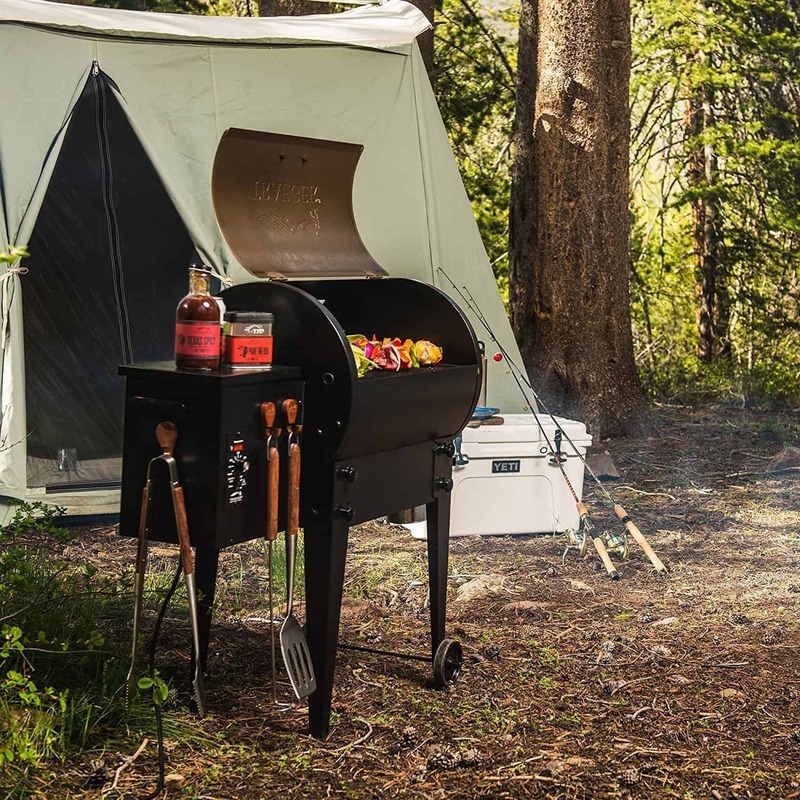 Traeger has worked hard to make sure they have a grill for everyone; from their lowest cost Traeger Scout to the enormous Commercial Grill Trailer. Most of their units are considered mid-range models that are perfect for those who are just getting into pellet grills. The large selection of sizes means that there is an appropriate unit whether you are cooking only for yourself, or catering for a large family reunion. 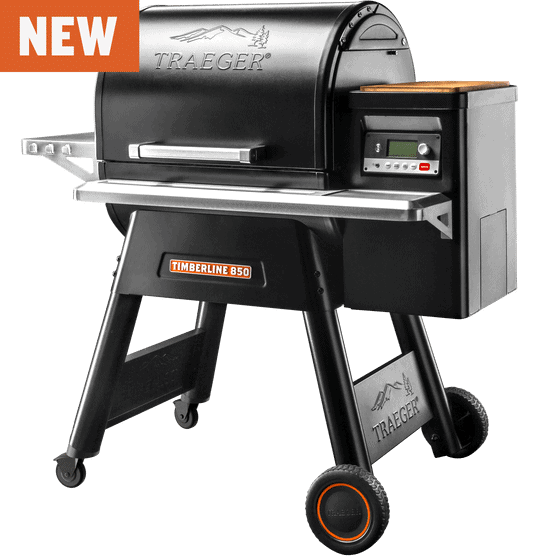 The Traeger PTG+ Pellet Grill is the smallest unit they offer, weighing only 41 pounds. It can hold up to 6 burgers on its 173 square inches of rack space and is the perfect bachelor pad grill. The newest grill from Traeger is the Timberline 850 and 1300 models. They offer enough room to cook for the neighborhood, and also carry the newest technology. Features such as an airtight lid gasket and WiFire controller and mobile app capabilities really set these models apart. You can have a grill that is as basic as it comes or an advanced as you would like, without leaving the Traeger family of grills and smokers. All with a quality build and competitive price. Pellet grills are quite a bit different than cooking on a propane or charcoal grill. You will spend less time babysitting the fire, and more time enjoying great food. While many companies now make pellet grills, Traeger was the first. They offer classes on how to use the products they sell and take pride in great customer satisfaction. Pellet grills typically require more of an initial investment than many propane or charcoal alternatives. However, they offer the versatility to grill, smoke, bake, roast, braise, & BBQ all on the same unit, which those other options don’t. Whether you have never used a pellet grill before, or even a seasoned pellet griller, you can’t go wrong with a Traeger grill. Being the first name in pellet grills is a title Traeger does not take lightly. This is a company that strives to offer the best products and the best customer service. Compared to other pellet brands, Traeger offers a good value, producing grills that are made to last beyond their warranty. They are perfect for beginners and have a very low learning curve. Seasoned pros will enjoy using Traeger’s high-end models, especially if you like the latest in techy technology. I hope you enjoyed this break down on Traeger Grills brand pellet grills and you have the information you need to make the best decision going forward. Which Traeger grill have you used before? Which Traeger grill are you most excited to try?